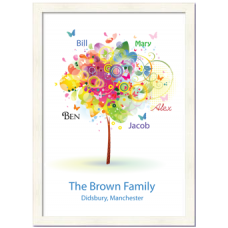 Tell us the names that you wish to appear on your funky tree, plus the family name and where you live. 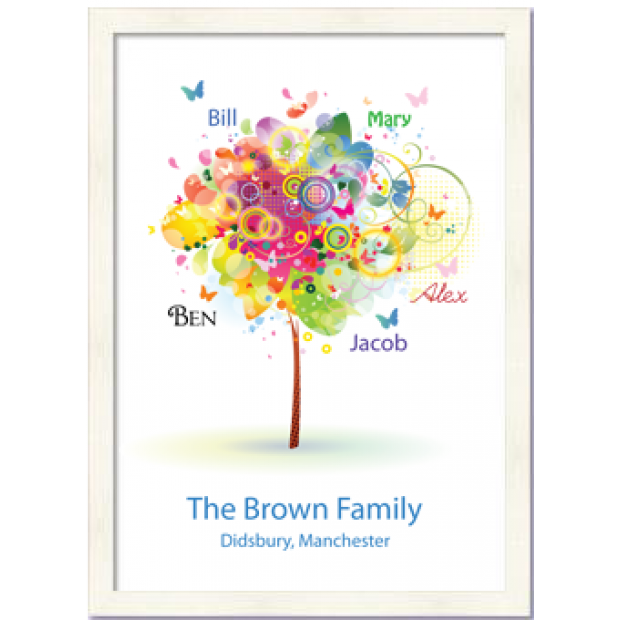 Something a little bit different, a bright funky design that is personalised with the family names. An A4 glossy print. 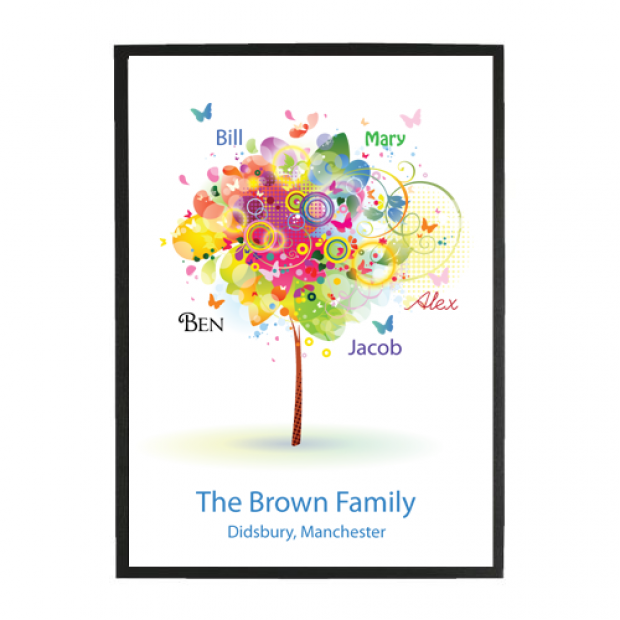 Available in an A3 frame in a choice of black or white and a neutral coloured mount. An ideal gift.